Modern asphalt shingles are crafted to withstand the weather extremes of the Upper Midwest. For most homeowners, they are the simplest, most cost-effective roofing solution of all. Asphalt shingles offer an excellent balance of style, durability, flexibility, water and wind resistance, weight, and cost. In today’s post, the roofing contractors at UpWright Restoration Services take a deeper look. 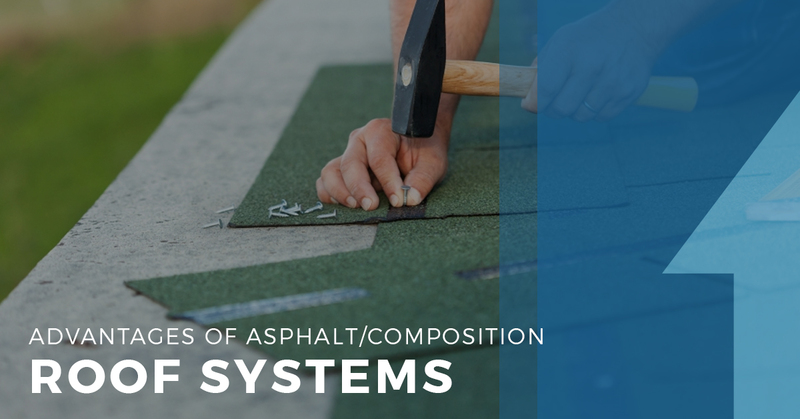 What Exactly Are Asphalt/Composition Shingles? Quality shingles feature high-grade asphalt that is pliable and slow to harden. Mineral fillers stabilize and stiffen the asphalt, particularly in the summer heat. As much as two-thirds of the asphalt in a shingle is actually mineral filler. Embedded in the asphalt is a fiberglass mat. The interwoven fiberglass fibers make this lightweight mat very tear-resistant, despite the fact that it comprises less than 2 percent of the shingle’s overall weight. Granules embedded in the surface provide increased impact resistance, and they help reflect solar radiation that would otherwise be absorbed by the black asphalt. Some shingles feature granules specially formulated to further minimize heat absorption to reduce cooling costs. Although organic shingles are still found on some residential roofs in the Minneapolis/St. Paul area, fiberglass shingles are most common for roof replacements. The organic cellulose mat is not fire-resistant like fiberglass. Also, fiberglass shingles absorb less moisture, so they retain their shape better. In contrast to composition shingles, other types of roofing are made of a single material like metal, slate, cedar shakes or clay tiles. There are two basic kinds of asphalt shingles: architectural and 3-tab. Architectural shingles are thicker, more durable and more three-dimensional than the traditional 3-tab variety. In fact, they are sometimes referred to as dimensional shingles. Higher-quality architectural shingles are frequently called premium shingles. They are sometimes crafted to mimic cedar shake or slate roofs. The thinner 3-tab shingles do not cover minor roof imperfections nearly as well as architectural shingles. They are also less resistant to wind uplift, a key consideration in our area, where high winds often accompany severe thunderstorms. As a result, 3-tab shingles are quickly falling out of favor. In fact, there is little cost advantage in choosing 3-tab shingles, in part because roofing contractors will typically install the more robust architectural product at a similar cost. For most homeowners, asphalt shingles are by far the most cost-effective option. They cost less than slate, metal, tile, or cedar shakes, and the cost of installation is also less. Major manufacturers have such faith in their products that they offer lengthy warranties, providing homeowners with added peace of mind. Asphalt shingle roofs typically cost about half of what standing seam metal roofs cost. They also cost substantially less than composite slate roofs and way less than natural slate roofs. Traditional cedar shake roofs also cost more than asphalt shingle roofs. For those that like the shake look, manufacturers offer a premium architectural shingle that combines the dimensional cedar shake look with fire-resistant fiberglass construction. When you are looking at asphalt shingles, keep in mind that quality varies. Therefore, be sure to discuss the options with your roofing contractor to ensure you are applying a high-quality product to your roof. After all, your roofing system protects the substantial investment you have in your home. UpWright Restoration Services serves homeowners in the Twin Cities metropolitan area with comprehensive roofing services, including roof replacements, emergency repairs, periodic roof inspections, insurance repairs and routine maintenance. UpWright is a member of the National Roofing Contractors Association (NRCA). At UpWright Restoration Services, we consider a roof the heart of a home. Every day, we strive to live up to our motto, “care, craft, and conscience.” To schedule a complimentary roof inspection and get a roof estimate, don’t hesitate to contact us today. We look forward to hearing from you!